When death or injury occurs at sea, the loss affects so many. When maritime workers suffer serious injury, they must live with the pain and the memory of what happened while struggling with the fact that they can no longer support their families. The family must cope then with the injured seaman’s new needs and, sometimes, new personality. Worse still is when a maritime worker dies – his or her family must not only deal with grief, but they must also try to figure out how to get by without their deceased loved one’s financial and emotional support. During this difficult time, our maritime wrongful death lawyer wants to make the unpleasant legal aspects as easy on you and your family as possible. Maritime law does provide some measure of comfort for fishing injury victims and their families, and a small measure for those who have lost a loved one to the sea. The laws vary, however, depending on the circumstances, and a family in a maritime injury or death situation should speak to an experienced maritime wrongful death lawyer. Our maritime attorneys in Boston have been helping injury victims hurt on vessels, docks and on the water and their families for more than 50 years. We can provide compassionate, aggressive representation, giving your family the support it needs during one of the toughest situations. Some laws only apply to certain workers, and some laws exclude recovery under other laws, so having the guidance of experienced maritime attorneys is the key to obtaining the maximum benefits to which you and your family are entitled. What Maritime Laws Apply to Personal Injury or Wrongful Death Claims at Sea? When a maritime worker suffers a serious personal injury, his ability to work and to enjoy his life may be seriously limited. He and his family must both come to terms with these changes. Fortunately, maritime law provides various remedies for these victims and their families. The Jones Act and other maritime laws, such as the Longshore Act, are available to provide lost wages, medical expenses and pain and suffering damages to the injured victims and their families. How much the victim can receive will depend on various factors; consult with our maritime trial lawyers for more information and a free attorney assessment of your particular claim. The Death on the High Seas Act (DOSHA) covers any death occurring three nautical miles from the shore of any state, whether you are a maritime worker or passenger on a vessel. DOSHA also grants designated beneficiaries of the deceased the ability to file a wrongful death lawsuit. Only a personal representative of the deceased can bring a DOHSA claim for damages for the exclusive benefit of the wife, husband, parent, child or dependent relative of the deceased against the vessel operator or corporation responsible for the death. Under DOHSA, the beneficiaries are only entitled to pecuniary loss, which includes compensation for the income provided to the family by the deceased seaman, taking into account what the decedent would have spent on himself, along with payment for lost services. They also can collect for funeral expenses and other costs related to the death. DOSHA does not let you recover for pre-death pain and suffering. Maritime laws are unkind when it comes to wrongful death – talk to our attorneys to find out what options are available to you if you have lost a beloved spouse, parent or child to a maritime accident. When Does DOSHA Not Apply to Maritime Wrongful Death Lawsuits? If the death occurred within territorial waters, DOHSA does not apply, but different laws apply depending on whether the deceased was a maritime worker or a passenger. Due to the complexity of the law surrounding wrongful death on the water, it is important that you contact the maritime trial lawyers at Latti & Anderson LLP. We have obtained many successful verdicts and settlements for injured maritime workers, as well as for the families of maritime workers killed on the job. Whatever the size of the employing company or circumstance of your loss, our lawyers have the resources, knowledge and experience to collect reasonable compensation on your behalf. 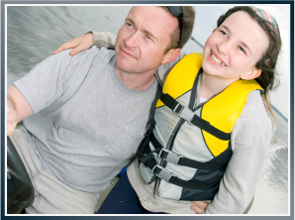 Contact a maritime wrongful death lawyer to learn your rights and options. For more than 50 years, our maritime law firm has made a name for itself as a strong advocate for injured seamen, passengers and their families throughout the United States. It costs nothing to talk to us about what you are going through or to learn if we can help.